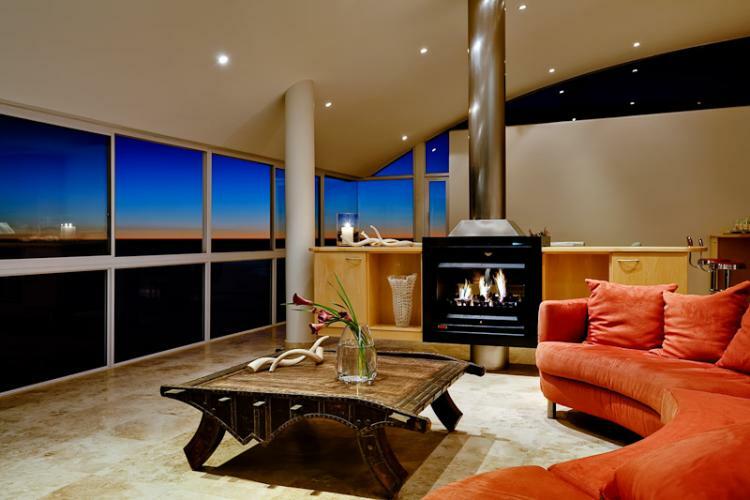 Villa Camps Bay offers visitors to the West Coast the perfect place to bundle up in front of the fireplace with a glass of vino and good company in one of our trendy villas that are best suited to the winter season. Why Consider Camps Bay this Winter? Camps Bay offers visitors a delightful choice in local hotspots ranging from pavements cafés to fine dining to pubs and bars. You could always check out a theatre performance or a night of live comedy. For those who enjoy the outdoors there’s still plenty of African sunshine to allow one to enjoy trail running or a hike up the mountains as even at the height of winter, you can still enjoy a marvellously warm day outdoors in the fresh air. Our first stylish villa that is oh so on trend at the moment is none other than Terrace, a seven bedroom villa located in Bakoven. It’s a walk away from the array of hotspots and restaurants and just a ten minute drive to the ever popular V&A Waterfront and Cape Town’s pretty city centre. Here you can enjoy a day of retail therapy and sight-seeing before returning home to the luxury and warmth of a stylish villa with breath-taking views. If that doesn’t peak your interest, there is always the property of Nettleton, which is also a seven bedroom villa which includes 6 bathrooms and is set over four levels. 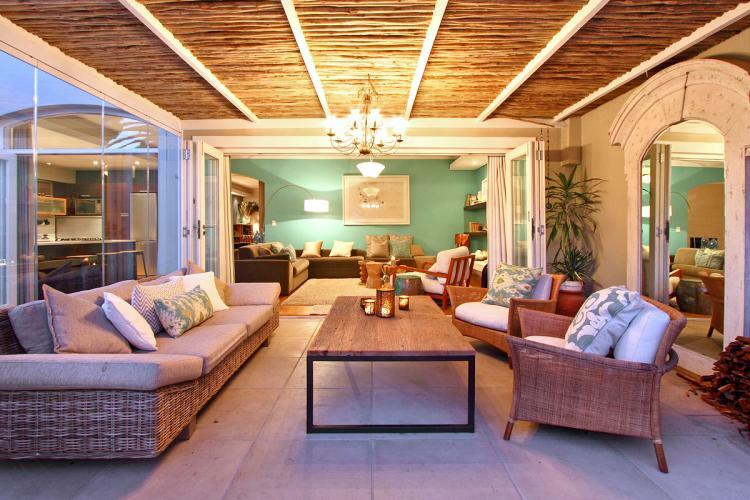 It’s ideal for a group of friends wishing to experience the Mother City or even a large family as it accommodates up to 14 guests. 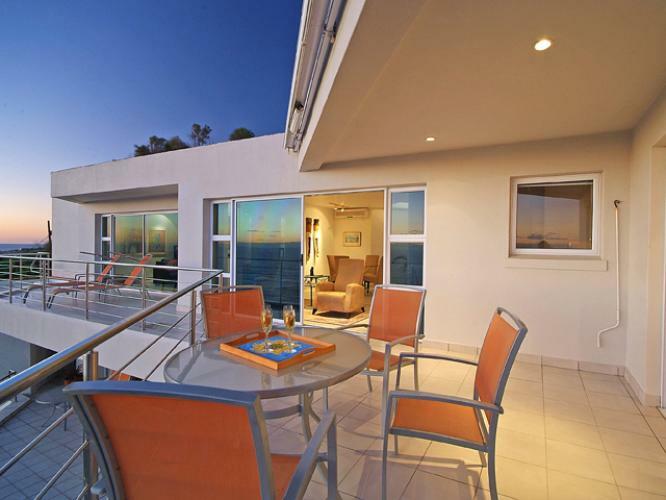 The chic villa has a glorious lounge which extends out onto a deck overlooking the Atlantic Ocean and Clifton beaches as well as plays host to a large entertainment and braai area. You’ll find everything you need to make the most out of winter as the villa is perfectly suited and includes everything from mobile heaters to fireplaces and under-floor heating. The 6 bedroom villa of Apostle’s Edge certainly gets our attention and makes it onto our Top 8 list at number 3. It’s no surprise, with its sweeping views of the ocean as well as mountain ranges. 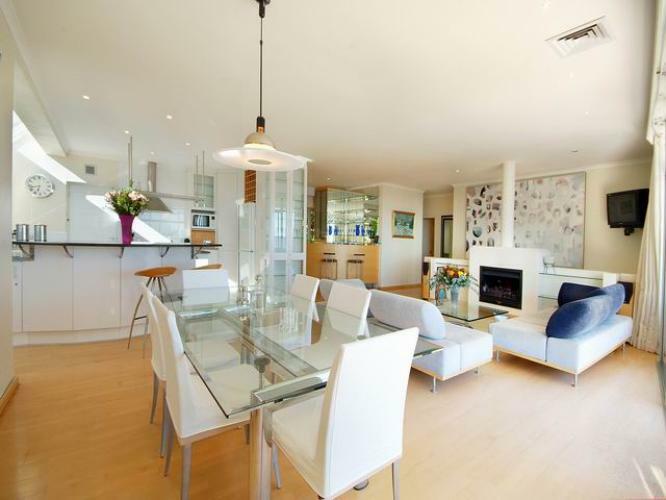 Its modern finishing’s and designer touches set this property apart and will make you feel at home. On sunny afternoons one can take advantage of the ground floor terrace which comes complete with a gas barbecue and bar area as well as a 42 inch plasma television with full satellite TV making it ideal to entertain friends. 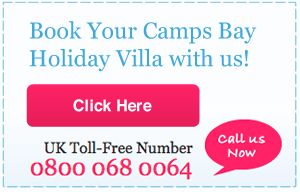 The villa is also just a short distance to the shops and local eateries in Camps Bay. 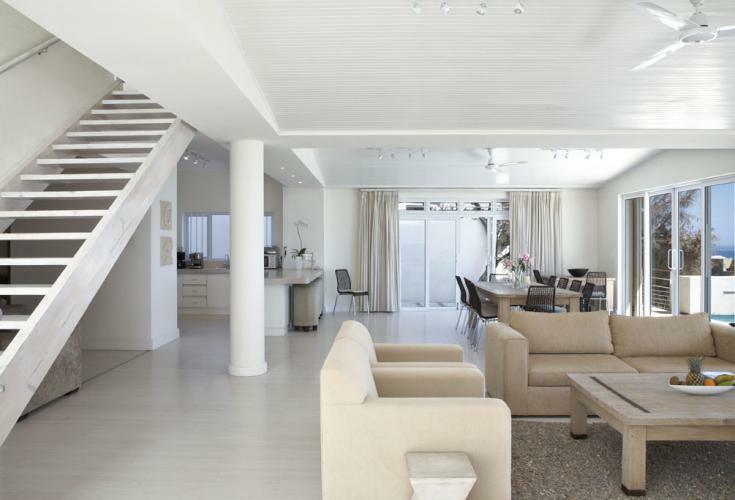 Stylish, trendy and ideal for the winter months is Belize, a truly magnificent double story 3 bedroom villa situated in Camps Bay. 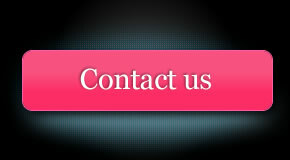 Its open-plan design encapsulates a classic, timeless style while its modern finishes add a contemporary design element. The trendy villa achieves a perfect balance of indoor-outdoor living and is ideal for all occasions. One can enjoy spending chilly evenings in the luxurious lounge complete with gas fireplace and unique artwork adorned on the walls to give you hotel living with homely comforts. Camps Bay offers its visitors a quiet charm and in the winter months it transforms itself into a whole new paradise. You may just be surprised by how much the winter season has to offer in the way of its beautiful scenery and hotspots. Whilst most cities experience heavy rain and even snow, Camps Bay offers a different type of winter. Never ending sea views, crimson sunsets and warm sunshine will ensure you keep warm and toasty this season. If that isn’t enough, each villa is equipped with everything you can think of from gas fireplaces to luscious blankets and even a few heated pools. 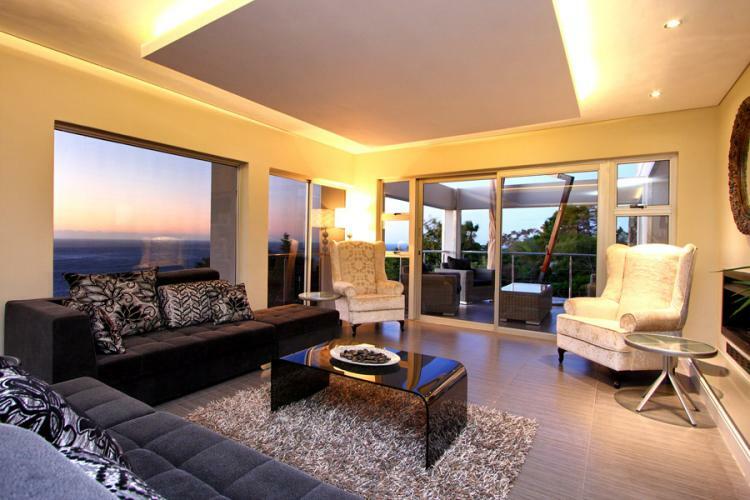 Take Camps Bay Terrace Penthouse for example, which offers premier accommodation. You’ll be greeted with absolute luxury and spectacular views of the Twelve Apostles mountain range as well as picturesque views of the Atlantic Ocean. For those warmer days there’s a gorgeous terrace and plunge pool and for the cooler nights, a wood fireplace supplements under floor heating to add comfort and romance even in the coldest of winter storms. The décor throughout the villa combines a unique blend of Modern and African artwork and décor including a few bespoke pieces and African artefacts from Zimbabwe, Zambia and Mozambique. If you travel on a little further you’ll come across to the property of Hakue which is a designer villa in a class of its own. 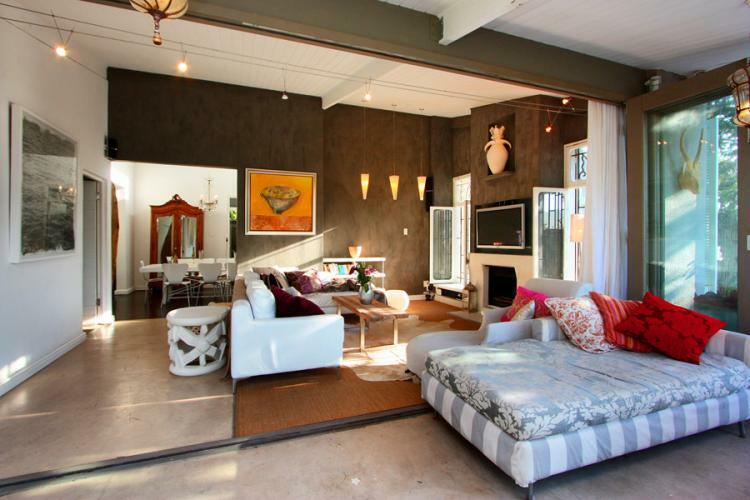 It makes it onto our Top 8 list as this trendy villa is on point in every way. Here you’ll find a Zen inspired indoor water feature in the lounge and a glass floating staircase which leads to the living room and kitchen and walk in closets. Its stylish interior and modern finishing’s will have you in awe. If you’re still not convinced winter in Camps Bay is not for you then perhaps Oceangazer will change your mind. It undoubtedly has some of the best views over the coast and it wouldn’t be complete without a wraparound balcony and sheltered barbeque area. 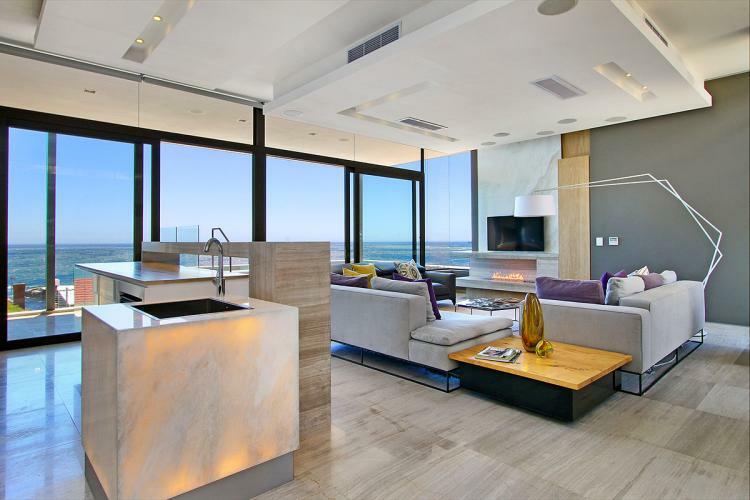 This perfectly positioned three bedroom villa in Camps Bay has the most breath-taking views of the Atlantic Seaboard and Cape Town’s famous Lion’s Head. Last but certainly not least to make the cut on our 8 top luxury villas on trend this winter is Shell Cottage. The beach inspired cottage has been totally revamped and is now a trendy four bedroom villa ideal for a winter holiday this season. The villa is spacious and airy yet cosy for the cold winter nights as you enjoy the benefits of a fireplace and warm neutral tones of the interior. All the rooms open out onto the garden and patio and so a great sense of space is created making it ideal to host guests. The lounge is furnished with leather couches and original artworks adding to the overall sense of style and comfort. It’s no secret that the Mother City is best known for its exotic beaches and on point summer lifestyle but winters in Camps Bay offer just as much fun and adventure if not more. Here you can enjoy an endless array of activities and breath-taking locations even on the coldest of days. Chia Kougianos is a Durban born writer, presenter and MC. She currently heads up , an online magazine which features all things hot in the world of fashion, lifestyle and entertainment.